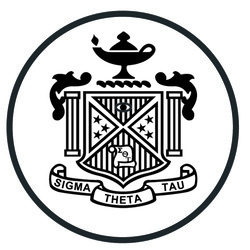 The Honor Society of Nursing, Sigma Theta Tau International (STTI) – In 1922 six nurses founded STTI at the Indiana University Training School for Nurses, now the Indiana University School of Nursing, in Indianapolis, Ind., USA. The founders chose the name from the Greek words Storgé, Tharsos and Timé meaning "love," "courage" and "honor." STTI became incorporated in 1985 as Sigma Theta Tau International Inc., a nonprofit organization with a 501(c)(3) tax status in the United States. The vision of the Honor Society of Nursing, Sigma Theta Tau International is to create a global community of nurses who lead in using knowledge, scholarship, service and learning to improve the health of the world’s people. STTI has more than 130,000 active members. There are 488 chapters at 668 institutions of higher education throughout Australia, Botswana, Brazil, Canada, Colombia, England, Ghana, Hong Kong, Japan, Kenya, Malawi, Mexico, the Netherlands, Pakistan, Portugal, Singapore, South Africa, South Korea, Swaziland, Sweden, Taiwan, Tanzania, the United States and Wales. STTI communicates regularly with more than 100 nurse leaders who have expressed interest in establishing chapters globally, including those in Armenia, Chile, China, Costa Rica, Denmark, Finland, India, Ireland, Israel, Germany, Jamaica, Jordan, Lebanon, New Zealand, Spain and Thailand.